Proverbs Scramble, week eight reading.. When we acknowledge God in all our ways we use wisdom and will not be led astray easily by the enemy. Wisdom is a garment that should be worn in our daily Christian walk. How long will we love simplicity? Get wisdom and get understanding. These are also good scriptures of using wisdom also. 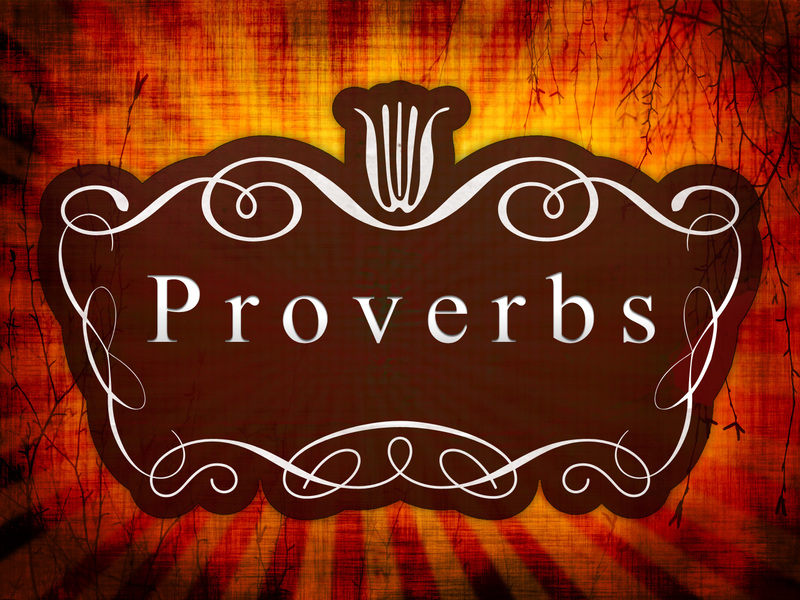 The book of Proverbs truly tells us how to conduct ourselves. Wonderful, and interesting, with great concepts; as stated; "Work brings profit, but mere talk leads to poverty!" Such powerful, because if we are just talking, and not putting our words to work, we are loosing out. This passage of scripture tells us HOW we are to live...in the FEAR and ADMONITION of The LORD. We are to WORK (action word) so that we can bring in the profits not just TALK about it. Talk the talk and Walk the Walk! Just do it! Let's get it! HE has PROMISED it to us, so why not CLAIM IT, in the name of JESUS! BE WISE & RECEIVE WISE COUNSEL!!!!! Our security is in Christ Jesus! Amen turn it around for me God!! A peaceful heart leads to a healthy body; jealousy is like cancer in the bones. Those who oppress the poor insult their maker.